10 Nights, 11 Days - Our most trusted tour. You will see the Best of Tunisia! Over the past 14 years, we have helped thousands of clients turn their dreams into a reality. We’d love to help you do the same. You don’t want to travel all the way to an exotic land to stay in a boring commercialized hotel. Tunisia Tours offers you authentic tours of Tunisia with access to the best high-end tours that will lavish your memory with vivid colors and experiences you will never forget. You’ll be surprised at how affordable your next holiday or vacation can be. Whether you are traveling alone or with a group of friends, we have knowledgeable drivers and guides of Tunisian culture ready to take you on an adventure of a lifetime. With connections to virtually any city in the country, we can get you to places others can’t. You’ll get access to the finest 5 star hotels Tunisia has to offer. We take pride in our creative and flexible scheduling that will allow you to soak in the beauty of Tunisia without having to worry about the stress of communicating, finding things, or knowing the best places to go and the most jaw-dropping things to see. Travel with security and confidence. We’ve been around the block so you don’t have to. Carrying over 10 years of experience on our shoulders, you can rest assured that your tour of Tunisia will be well planned, well spent, and thoroughly enjoyed. From camel treks across the Sahara Desert, to the mysteries of Carthage and history of El Jem, you will have the experience of a lifetime. Contact us today about your tour of Tunisia and get a free, no hassle, quote. My Star Wars Experience was AMAZING! I think the first thing to say is thank you for all your help and communication throughout. I have been extremely impressed with how efficiently and professionally you have handled my booking, not to mention friendly and knowledgeable. We have had a wonderful holiday and have many amazing memories and photographs to treasure. Tunisia is a beautiful country and it’s sad how the lack of tourism is hitting the country so hard. Deep in the gorges of the rock canyons of southern Tunisia runs the Red Lizard Train. 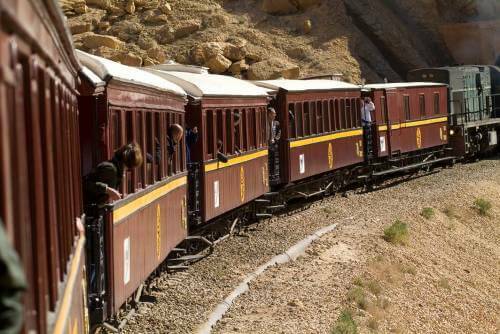 This old fashioned train takes passengers on an adventurous journey that follows the natural path carved out by the Seldja Gorge at the foot of the Atlas Mountains. The train route gives passengers spectacular views of central Tunisia’s beautiful rocky desert canyons and landscapes, as well as passing through mountain tunnels, over steel bridges, near natural water springs, and then finally into a green oasis. You may enjoy adding this train excursion on your tour to Tunisia. Are you looking to take your family to Tunisia? Tunisia has many fun and interesting activities for visiting families. 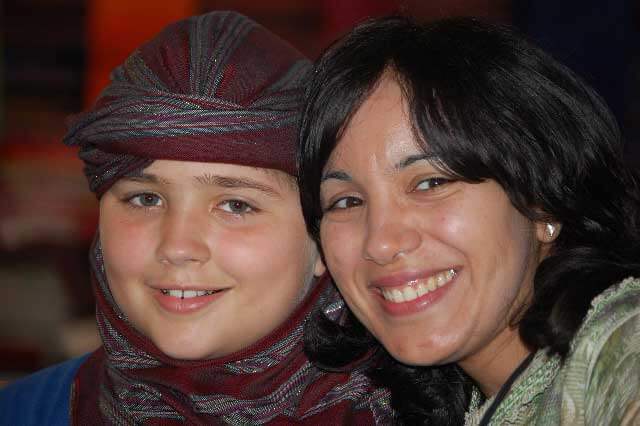 For families with small children, older children, few or many, there are sure to be several of the below activities that will engage your family in the Tunisian culture as well as help you enjoy the fun this country has to offer. Take an hour long trek into the Sahara, or even spend an overnight on the dunes under the stars. Children of all ages are sure to enjoy everything from interacting with their camel to climbing and descending sand dunes, all the while discovering the beauty of the desert terrain. The gorgeous Mediterranean coast of Tunisia displays many beautiful beaches. Besides building sand castles, playing in the clear blue water, and sunbathing, the adventurous will want to fly high over the coast para-sailing. Both parent and child can enjoy this adventure together. There are also jet skis for rent, as well as banana boat and tubing options for adding to your water fun.